Sandy banks and grasslands, very local in southern Michigan; also on rocky ridges (generally south-facing) in the western Upper Peninsula and Isle Royale. A prairie species, rare this far east, and often occuurring in isolated colonies or groups of colonies widely separated from other occurrences. 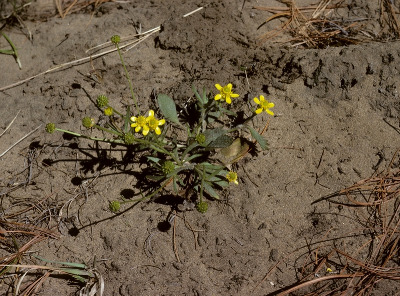 Ranunculus rhomboideus has simple basal leaves, like R. abortivus, but differs from that species by the larger petals and conspicuously villous stems and petioles. MICHIGAN FLORA ONLINE. A. A. Reznicek, E. G. Voss, & B. S. Walters. February 2011. University of Michigan. Web. 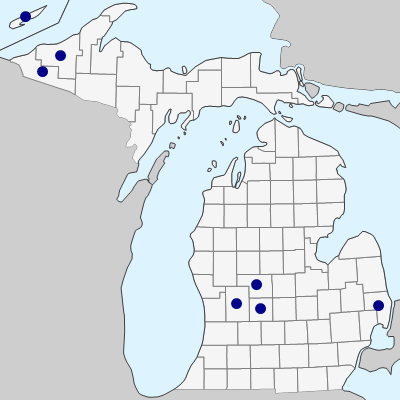 April 19, 2019. https://michiganflora.net/species.aspx?id=2398.